I have Windows 10 and IconPackager 10.0.3. As has been pointed out, Windows 10 is a work under construction and I am not knocking IconPackager in this post. It is one of my favourite pieces of software and with the standard Windows 10 icons being such 'weak sauce' I am surprised that it's not more popular. In downloaded iconpackages, the 'Text' icon (for .txt files) never shows for me. I have to re-customise the iconpackage for it to do so. Sorry to hear you are having issues. I have no issue on .txt files icons on my system. Which theme of my icon packager you having problem with. 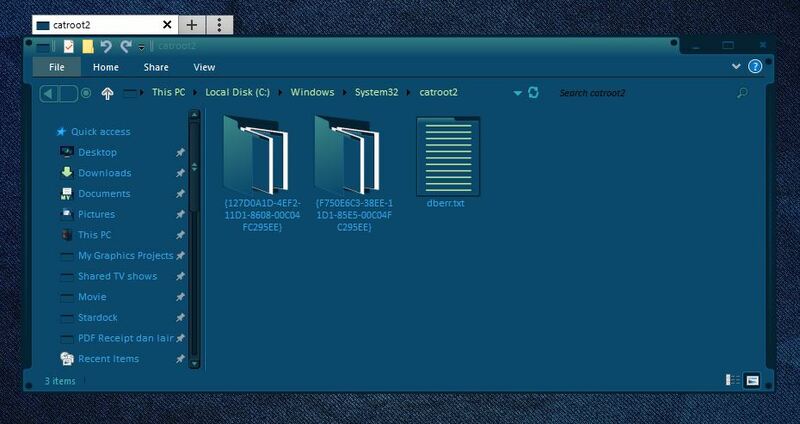 Here a sshot of my Oren Icon sets on my Window 10 system. It's pretty much universal - I only used you as an example. OK I just installed Titanium Blue Full again. 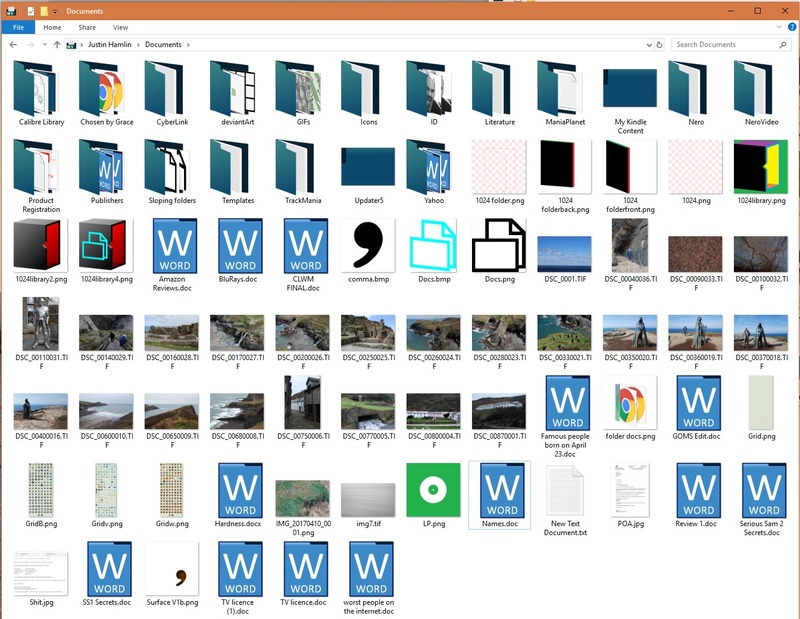 IconPackager shows .txt files with your icon, but in the folders they still appear with the insipid Windows 10 version. As stated, if I create a theme myself with the same, or different, icons, it has no problem displaying the icon. Thank you for Titanium Blue by the way. It's one of my favourites - I even added .pdf, .iso and iconpackager icons in the style of that theme for my own personal use! I don't get it, specially the bold part, it still look fine on my system. Maybe you can post a screenshot of your problem. Well, its not a problem on my system. And you said if you manually change the .txt icons and saved it. Apply it. It get solved? 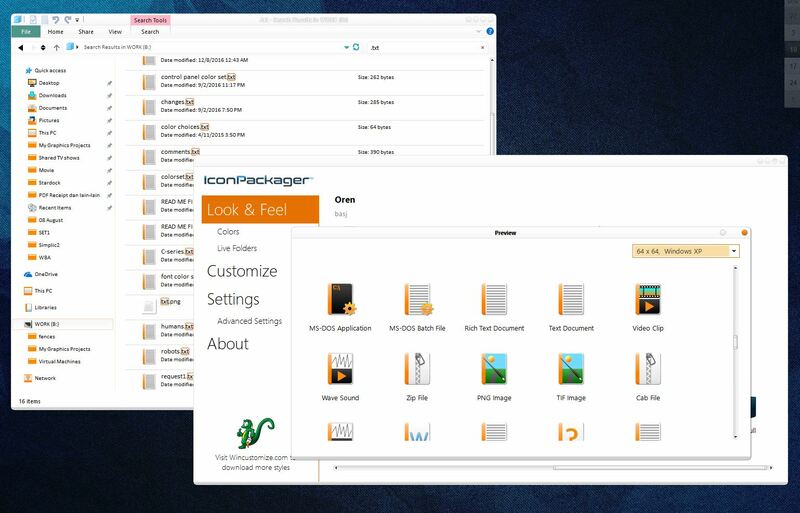 After the purge part, redownload latest iconpackager installer from your account, install it. Reboot and see if it get solve. It may be that some third party app interfere file being "iconized". I have a similar problem as described above. I have tried customising some individual icon selections, changing from the default to something else, then reselecting the original, but to no effect. I downloaded the latest IconPackager to test it, on an up-to-date Win 10, and applied the ootb Flash Live icon set. But only some of the icons applied as they should. (This was with a clean, first-time install, and the same after uninstalling and reinstalling.) Specifically, in Explorer, in the navigation pane, only the Computer and Network icons updated. None of the other quick-access icons changed from the defaults. And within the file listing, none of the icons reflected the theme - for the screenshot, I added an empty folder and Word document alongside the txt files. I did attempt to download an icon set from WinCustomize, but that was no better. The only setting I have configured that might affect how icons work is shown in the above image: image files show thumbnails of the image itself, rather than a meaningless file-type icon.